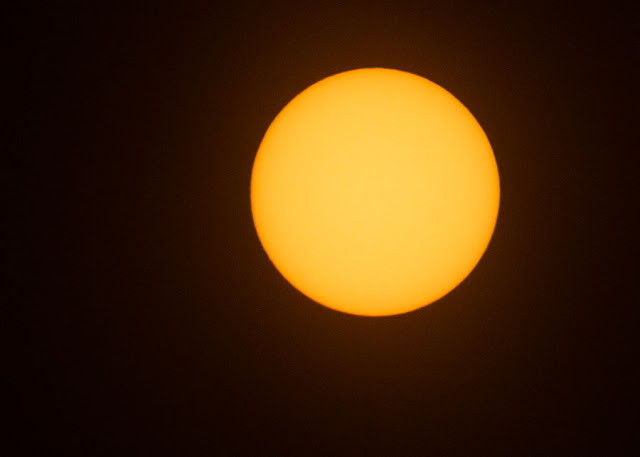 The following photo of the sun was taken with DSLR and 300mm lens and 1/125 second exposure. It seems the sun is starting off the new year in a very quite state and no sunspots are apparent. What will this mean for us? 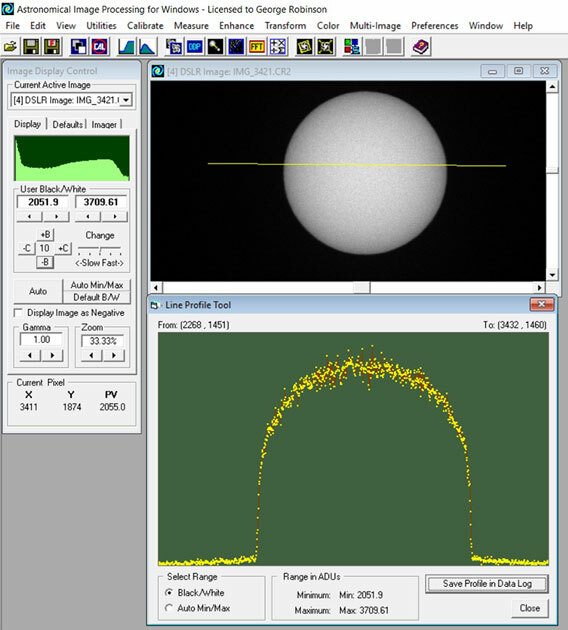 The sun has its sunspot cycles, but not much to be seen now, but we can perform more analysis on the solar image and measure the brightness across an arbitrary profile line. The AIP4WIN screenshot below shows the light profile and the limb darkening effect is easily seen in the shape of the intensity profile. Remember that limb darkening happens on the sun because from our vantage point we look through different optical depths near the suns edges. The second topic was the upcoming occultation of Regulus by the Moon. Previously we had considered just watching the moon occlude any of the background stars as it moves around in its orbit but the problem was that usually these background stars are quite dim, in the range of 10-11 magnitude. Well, now the prediction was that Regulus, a nice magnitude 1.4 star, would be occluded by the moon on January 4. Hooray, this will be a great opportunity to watch the occultation except for the timing of the moon which is very full at that time! Oops, It turns out that the full moon is the least of our problems because in the fine print of the prediction it say the occultation will be visible in Alaska and Canada. Darn! 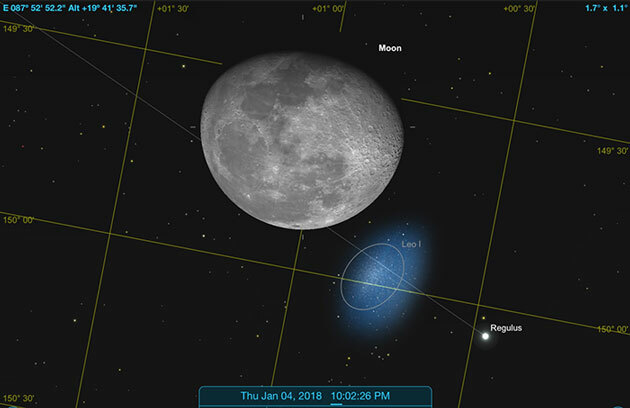 Take a look at the Sky Safari Pro screenshot which shows the closest approach of Regulus and the moon here in Orange County at that time. 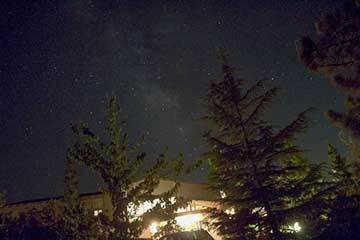 From our location here, Regulus just does not come close enough to the moon. Since we can't plan to view that occultation and the weather is getting very cloudy anyway, let's consider a neat video lecture available now on YouTube. Erik Verlinde, Professor at University of Amsterdam, has been involved in trying to understand gravity in terms of entanglement and information theory. 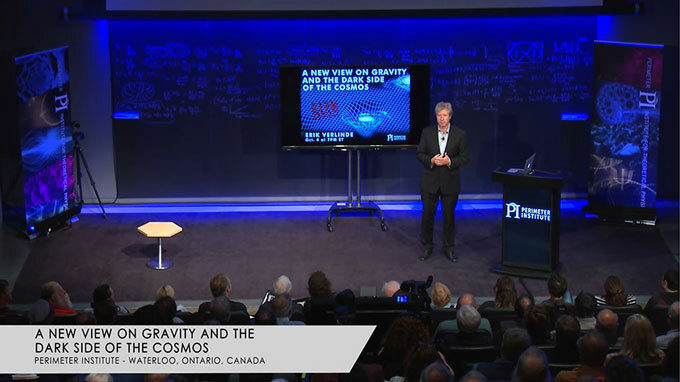 In this public lecture, recorded October 4, 2017 at the Perimeter Institute, Verlinde describes one of key concepts describing how gravity, as a force or as an effect, could be the result of emergence as a consequence from quantum information theory. This idea that gravity might not be a primary, fundamental part of nature, but instead emerges from other more fundamental aspects has appeared in multiple speakers and papers, but here is a good opportunity to hear some of the concepts firsthand. Verlinde discusses how space time and gravity are emergent and are derived from more fundamental properties of entangled quantum information. In other lectures and papers we understand how gravity and spacetime are interconnected because we know that high gravitational fields can slow down time and distort space. But he goes even further and argues that entanglement of quantum systems as described can be responsible for these effects. Does this mean that we are getting close to the unification of quantum mechanics and general relativity? The experts say there is still a lot of work to be done but that all of these clues, especially the clue provided by black holes and Hawking radiation and information theory effects and conservation of information, seem to point to a way to bring everything together. I've been to many conferences where these types of presentations are made and yet the final answer seems to be just around the corner. We will have to follow these interesting ideas and what and see? 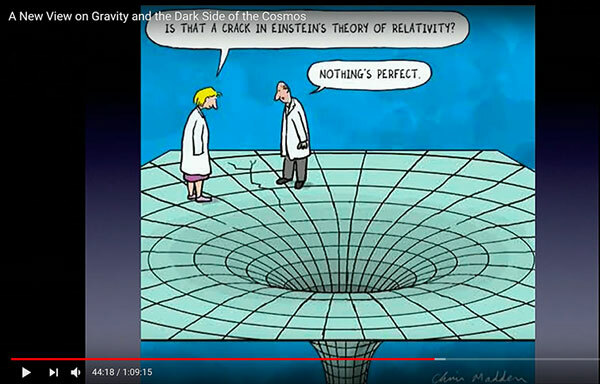 In the meantime, we will finish up this post with one of the cartoons in Verlinde's lecture that sort of summarizes the current condition in that physicists know that things are not quite right, someplace, where we can't quite see how to reconcile QT and GR, but something is not quite right, not wrong per se, just some new way of looking at both realms.